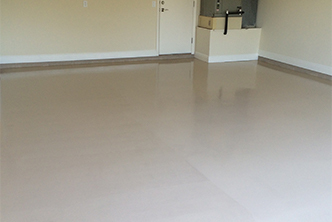 Epoxy Floor Systems can optimize the strength and durability of any concrete floor. 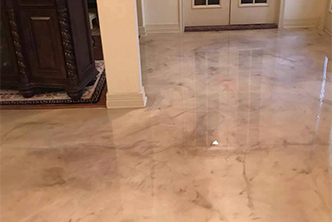 Our company installs high-performance decorative floor coatings that can be used in residential applications such as garages, living rooms, bedrooms, bathrooms, laundry and mudrooms. High quality industrial epoxy floor systems are a cost effective way to improve the strength of the concrete and significantly enhance the appearance of the rooms. 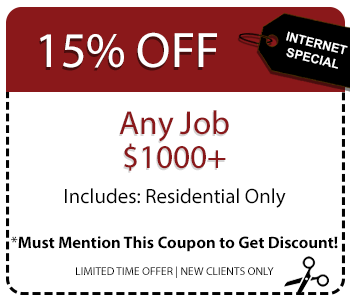 We have available a variety of solid colors and vinyl chip blends. All of these coatings provide hot tire resistance, chemical resistance, and slip resistance. 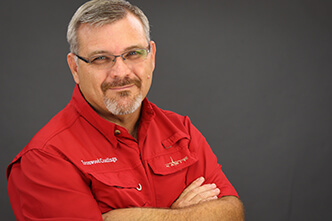 We also provide a solution for controlling moisture or water vapor transmission in damp areas. 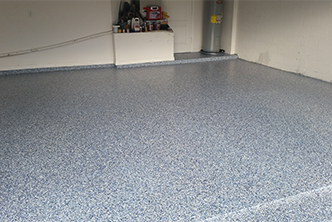 These are our most popular and affordable epoxy coatings that we offer to both residential and commercial customers. We used thin mil epoxies and high build self leveling epoxies from re-known manufactures like Ameron, Concrete Solutions, Elitecrete, Marblelite, PPG Paints and Scott Paint to name a few. Mechanically etching the floor to achieve a desired profile for the product. Transform the look of ordinary concrete surfaces with our beautiful, yet practical Color Flake System application. This system has a granite or terrazzo look that is often applied in recreation rooms, entry ways, lanais, garage floors and so much more. This industrial grade system has superior results and easy clean up while the polyaspartic is a rapid curing clear coating that provides color stability, maximum gloss retention and beauty with a next-day return-to-service! Metallic flooring systems are a specialty high build, self-leveling floor epoxy that creates a shiny-reflective floor which is aesthetically unique and easy to maintain. They are VOC free which means that there are no harmful chemical odors which make them ideal for any location, such as interior rooms, retail stores, restaurants, man caves and garages. Metallic flooring systems are resistant to abrasives, stains, chemicals, anti-microbial and can be used on countertops. The end result is a smooth glass-like finish that has a unique and subtle reflective three dimensional appearance.